Find out we are up too! 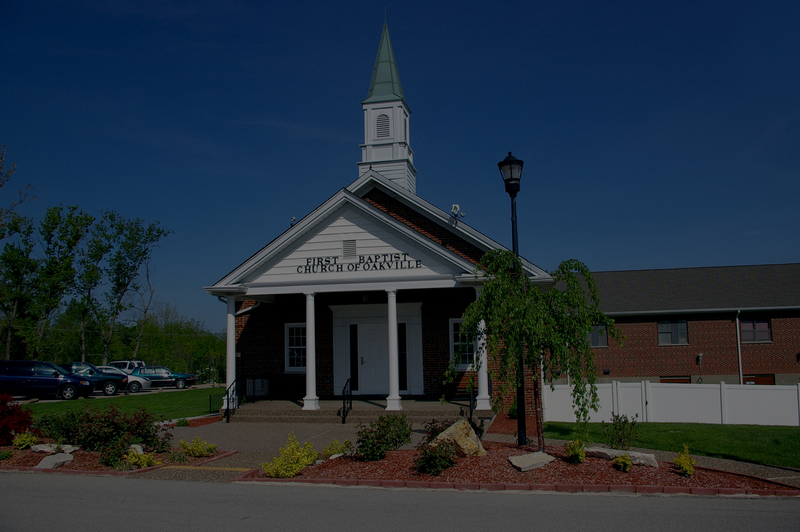 We are so glad that you have taken the time to visit our website and learn more about First Baptist Church of Oakville. We encourage you to visit our church next. The information here will help make your first visit meaningful and enjoyable. If you would like to talk to us in person, or if you have any questions that are not addressed here, please feel free to contact us. We hope to see you soon! First Baptist Church is a faith family of people just like you. When you visit you’ll find friendly faces, practical, messages and excellent ministries for every member of your family. 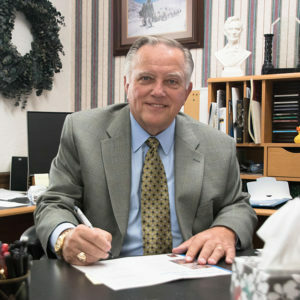 John L. Hessel is the pastor of First Baptist Church. He came to us as our interim pastor in January, 2006. On Easter Sunday, 2008, John officially became our pastor. Pastor John and his wife of over 50 years, Brenda, have three married daughters and eight grandchildren, all living in the St. Louis area. John and Brenda both grew up in Alton, IL, and were high school sweethearts. He is a graduate of Oklahoma Baptist University and Southwestern Baptist Theological Seminary. Formerly the senior pastor of South County Baptist Church for eight years, Pastor John has been in the ministry for 47 years. First called to preach as a teenager, he has a deep love for God’s Word and for God’s people. His hobbies include golf, travel with his wife, and old cars. If a task is easy, everyone would do it. If it is impossible, no one would do it. If it is difficult, it can be done, but one must decide if the achievement is worth the effort. Come visit our walking traill! Open to the public.